Better Hearing Starts Here - We Listen. We Care. Widex EVOKE hearing devices evolve in real life to keep getting smarter. It learns from your hearing preferences in the moment and over time. With just a few taps on a smartphone, you can choose the sounds you want to hear, putting you in full control if you want to be. And if you want to lean back? EVOKE automatically adjusts to your needs and the environment around you – smoothly and in real-time. EVOKE learns from your experiences and from the experiences of other wearers all over the world. Widex uses that anonymous data to create a better listening experience for everyone. So the great hearing device you buy today evolves to be even better tomorrow! Together with major advances in sound technology, Widex EVOKE provides a more natural and personalized hearing experience than ever before. EVOKE is the world’s first real-time machine-learning hearing device — learning your hearing preferences in the moment and over time for better hearing today and each day after. EVOKE has state-of-the-art processing enhancements that achieve a purer and more natural sound than ever before. EVOKE offers more accurate environmental mapping to help you hear in any setting. EVOKE features faster processing — capturing more true, real-time sound — so you hear every moment. Whether you prefer discreet or power, there’s an EVOKE style for you. 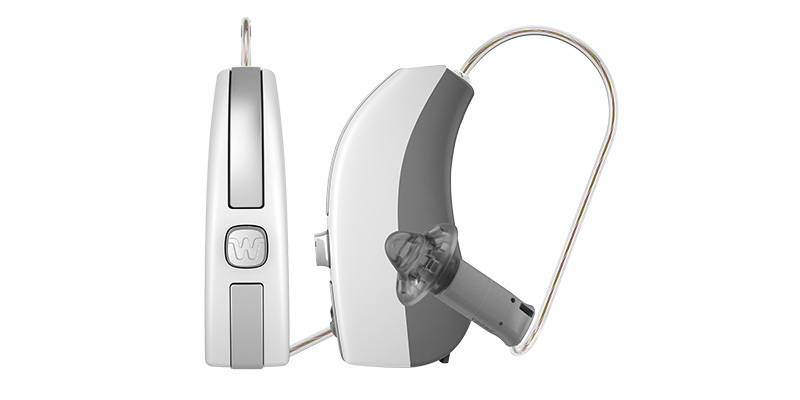 Widex EVOKE family of hearing instruments is available in four technology levels and in a variety of colors, offering different options to suit your lifestyle, hearing loss and budget. 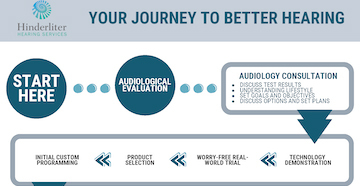 Ask your hearing healthcare professional which EVOKE model is best for you. 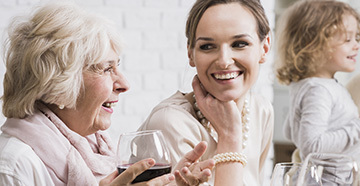 Enjoy optimal sound in a discreet hearing aid without sacrificing performance. Built around the most powerful hearing aid technology available, WIDEX CUSTOM provides you with superior sound in a discreet, custom-made device that fits perfectly in your ear. CUSTOM captures all the sounds you need. No other in-the-ear hearing aid can capture such a wide range of sounds. Sophisticated Widex processing technology automatically detects your listening situation and makes sure you hear the right sound at the right time in the right place. That way you can focus on what you are doing —instead of having to adjust your hearing aids. – Get Connected. Stay Connected. With the Widex BEYOND™ made-for-iPhone hearing aid, you can enjoy the best that life has to offer. BEYOND brings you superior sound technology, Bluetooth connectivity and control of your hearing via your iPhone® and Android™ so you stay connected to your world. The customizable BEYOND app lets you design your own hearing, and it offers you connectivity anywhere and anytime. Easy swipe technology, with an intuitive app that can be customized for sound settings and listening programs. Instant connection to your iPhone, T-Coils, and Widex assistive listening devices. 30 percent better speech understanding in wind, and a comfortable, natural sound in all listening situations. Brilliant streaming sound when listening to music, taking calls, or watching TV. Fewer battery changes, with the longest battery life in the industry. Widex BEYOND is available in three technology levels and fifteen popular colors, offering a variety of options to suit your lifestyle, hearing loss, and budget. Ask your hearing health professional the BEYOND technology that’s best for you. - Lasts all day. Charge at night. Widex made-for-iPhone® hearing aids are available with the convenience of rechargeability and long battery life -- even when streaming! 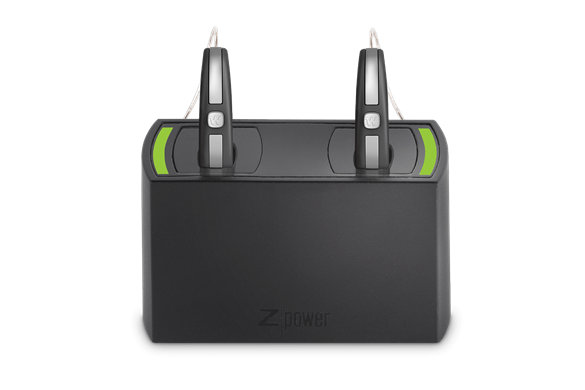 With an elegant and easy-to-use charging station, you can recharge overnight, just like your phone, so you’re always powered up and ready for another day! Because the Widex chip has low power consumption, you get a full day of the most advanced hearing and superior streaming sound quality from your iPhone® so you will never miss out on life’s special moments. Widex EVOKE FUSION2 Z and BEYOND Z™ are available in rechargeable options. Ask your hearing healthcare professional about Widex rechargeable solutions. What makes UNIQUE better than other similar hearing aids? WIDEX UNIQUE hearing aids capture all the sounds you need, from the highs to the lows, from the loud to the very quiet. No other hearing aid can provide you with such a wide range of comfortable, audible sounds. Only UNIQUE can reduce unwanted soft sounds and maintain useful soft sounds (such as quiet speech). And when you’re outdoors, UNIQUE significantly reduces wind noise, no matter what the conditions. WIDEX UNIQUE hearing aids cleverly and quickly adapt to any situation you find yourself in. So you can easily separate speech from noise. And enjoy supreme sound in any environment. The Widex UNIQUE hearing aid pushes the barriers of what you can hear with hearing aids. Louder and softer sounds. More conversation. In fact, all the important sound details around you. But not every day has to be an adventure. Whether you’re riding up a mountain or riding down the road, UNIQUE lets you comfortably hear more sounds wherever you are, whatever you are doing. 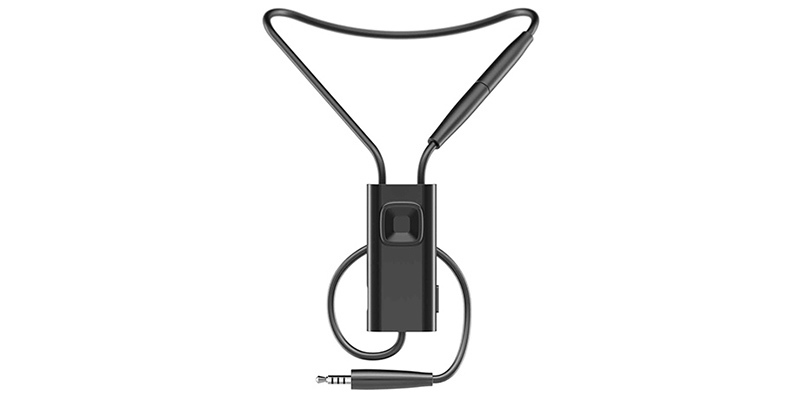 UNIQUE is available in three Behind-the-ear (BTE) models and three In-the-ear (ITE) models. Your hearing care professional can help you choose the ideal model for your specific hearing loss and lifestyle. All UNIQUE models are available in a wide range of stylish colors to suit all tastes. You can choose between 14 different colors for BTE models and three standard colors for ITE models. With the COM-DEX accessory, you can stream high-quality sound from most mobile phones to your hearing devices – hands-free and without any fuss. Worn around your neck, the COM-DEX connects wirelessly to your hearing devices so you can control them remotely with the COM-DEX app: an easy-to-use and convenient way to adjust volume, sound direction and program settings. 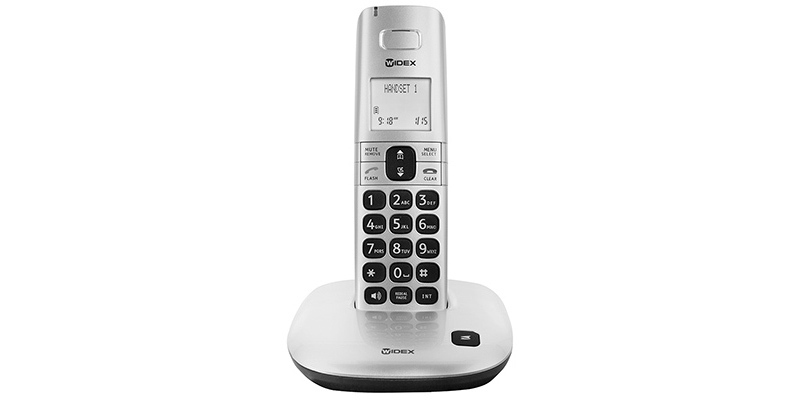 The COM-DEX Remote Mic is the answer to difficult one-on-one listening situations including noisy environments! 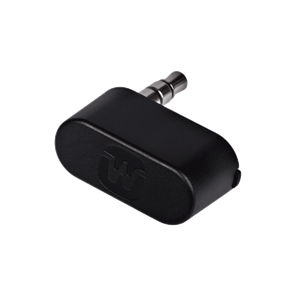 It connects wirelessly to your hearing devices via the COM-DEX. It may be clipped to the shirt or placed on the table close to your conversation partner for easy and discreet listening. The UNI-DEX accessory is extremely easy to use. Simply plug the mini-jack cable into your mobile phone or audio device, hang the UNI-DEX around your neck, and you are ready to go. Stream sound to your hearing devices and talk hands-free when using a mobile phone or on Skype via PC or tablet. The CALL-DEX is an ultra-compact device for streaming conversations directly from your mobile phone to your hearing aids. 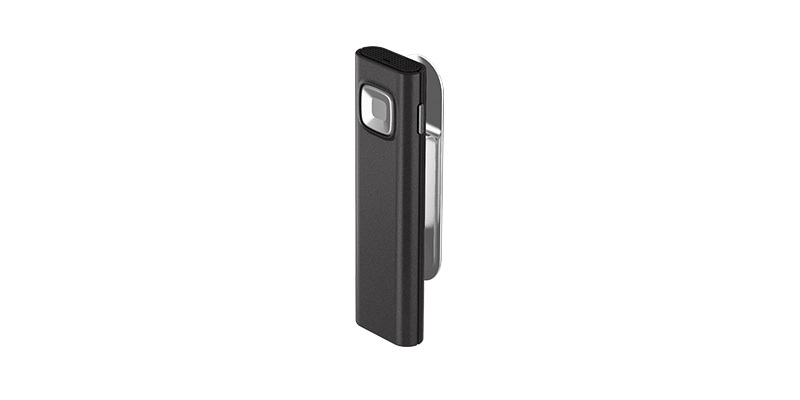 Extremely discreet, CALL-DEX simply inserts into the jack plug of your phone and you can then use your mobile phone normally. The PHONE-DEX is a cordless phone that streams crystal clear sound directly into your hearing devices, enabling you to hear speech in both ears! Working as a regular phone, it is an easy to use phone for the whole family. The TV-DEX accessory lets you stream high quality audio with no delay or echoes from the TV straight to your hearing devices. Its Room Off feature allows you to hear the TV sound only, without unnecessary background noise. With excellent battery life, enjoy uninterrupted TV like never before! The RC-DEX accessory is a stylish and user-friendly remote control that gives you control of basic hearing aid functions like volume and programs. Small enough to fit on a keychain, the RC-DEX is intelligently laid out with three simple keys. This means that you can quickly and easily start using it. FM+DEX converts signals from an FM receiver, telecoil or audio line in and streams high quality sound to Widex wireless hearing aids. Aside from receiving FM signals when an FM module is attached, it can be used as a telecoil, perfect for use in places such as classrooms and meetings. Wearers can also stream music or other audio with the audio line-in function. A wide range of hearing care solutions available to treat your hearing loss! A great selection of hearing aid products and accessories to suit your needs!